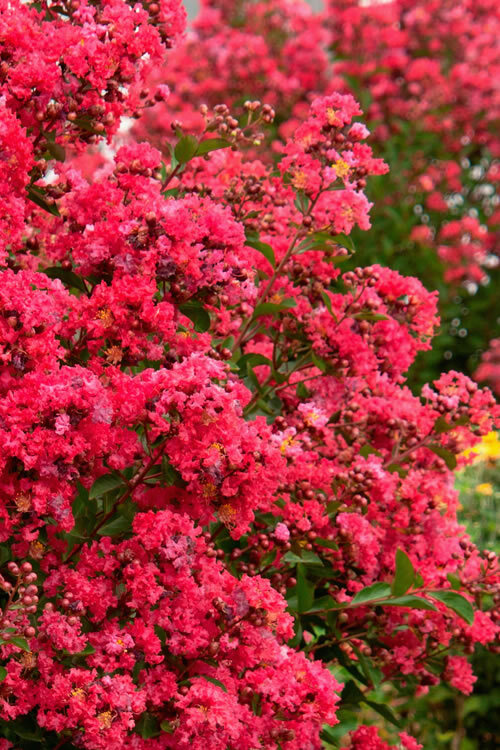 If you love Crape Myrtles for their bright flowers and long bloom season during summer, you're gonna absolutely love the even longer-blooming Victor Red Crape Myrtle. 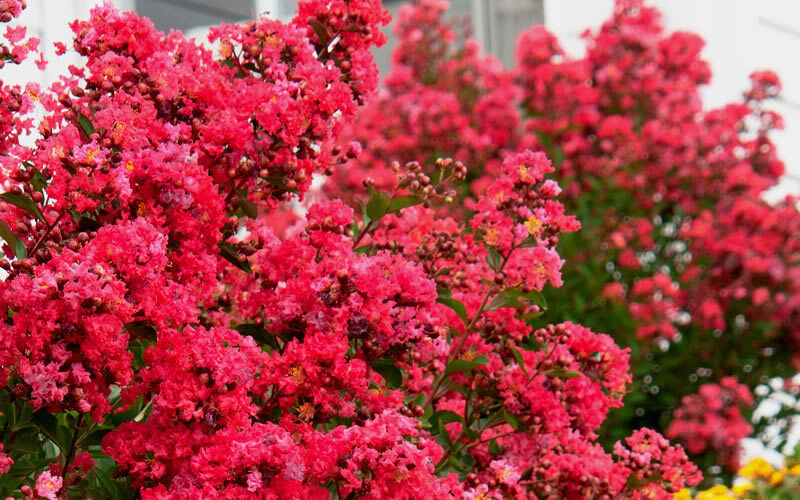 Victor Red is a repeat flowering semi-dwarf Crape Myrtle that produces bright true scarlet-red flowers summer through fall! With a height of only 4 to 5 feet and an equal width, folks with smaller gardens can now enjoy the beauty of Crape Myrtle. Though it's a dwarf, Victor Red Red is just tall enough to remove some lower branches to form a small tree. For those who garden too far north, where crape myrtle are not cold hardy, plant these in containers and overwinter them indoors! Growing 4-5 feet tall and wide, Victor Red Crape is an ideal selection for an accent or specimen in smaller garden spaces or as a stand alone in containers, which can conveniently be brought indoors for overwintering by those of you who garden north of USDA Cold Hardiness Zone 6a. 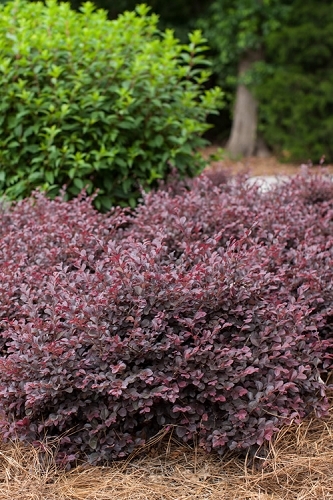 In larger landscape spaces Cherry Dazzle is outstanding in small to large groupings or as a colorful hedge. Victor Red Crape Myrtles are exceptionally easy to grow and maintain when planted right and in the right spot. They're not too picky about soil type however prefer a moist but well-drained soil of average fertility and as much sun as you can give them. 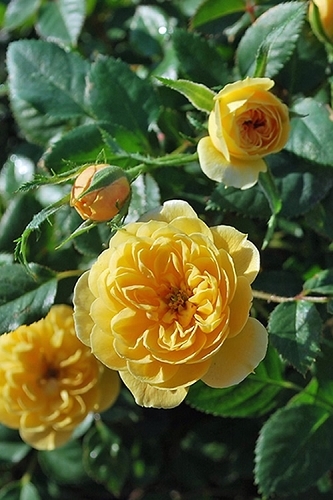 Light shade is tolerated but flowering is diminished with more shade. Maintenance is minimal, with very little if any pruning required for plants to maintain density and a nice form. That said, spent flowers can be removed to encourage a possible second flush of flowers. A light pruning before leaves emerge in early spring can help to maintain a more dense shrub. When established, plants are quite drought tolerant; only requiring supplemental water during prolonged dry periods during summer. As with all other crape myrtle, deer won't touch the Dazzles. 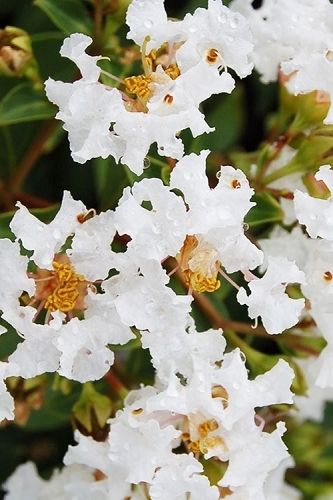 Click on a link below to find helpful advice from our experts on how to plant and care for Dwarf Crape Myrtle shrubs. Flowering Period: Summer thru Fall! I just spoke with our greenhouse manager and we should we should have some the Victor Red Crape Myrtle back in stock and ready to ship by the 2nd week in August 2108. These will be in 3-gallon size containers and the price will be $59 with free shipping. I added your name to the Waiting List so you should receive an email notification as soon as we make them available in the store. Let us know if you need more details or have any other questions. We're at your service. Q: For the Victor Red Dwarf Crape Myrtle. When is it best to plant. What months are better. What is the ideal month? A: Hi Paola - All the plants and trees we offer, including the Victor Red Crape Myrtle, are fully-rooted in containers. This means you can plant them any time of the year. We plant crape myrtles year round here in north central Georgia, USDA Zone 8a. That said, if you live and garden in the most northern zones where this crape myrtle is cold hardy (6a-6b), it would be best to plant some time between mid-spring (May 1), or a couple weeks after the average last frost date in your area, to mid-summer (July), which would allow the plant time to establish a good root system before winter sets in. The earlier you plant the more time the plant has to grow roots before going dormant in late fall or winter. Hope this info was helpful. Let us know if you need more details or have any other questions. We're at your service!